It's no surprise that retailers like programs that provide them with recurring revenue streams: 65% currently offer some kind of a subscription program, and another 22% are considering adding one in 2019. A majority (54%) expect "significant growth" in revenue this year and beyond from recurring customer purchases. 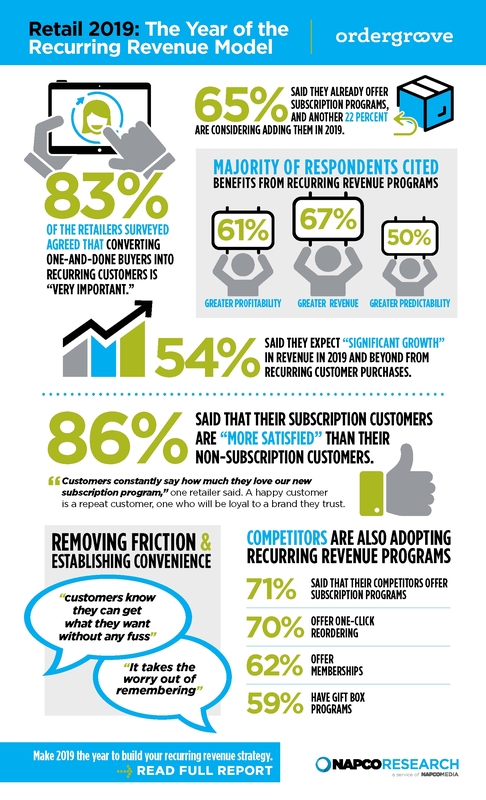 Learn more about retailers' drive for recurring revenue in this infographic from Napco Research.